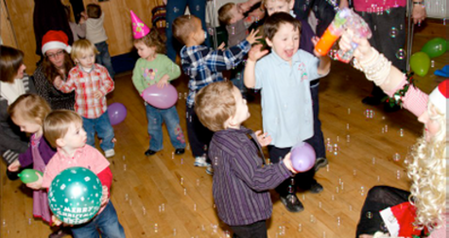 Butterhill Playgroup is a small friendly parent led playgroup. It provides a relaxed environment for play and activities both inside and out. Open for advice and information 9.00am - 4.00pm (Monday to Friday, 48 weeks of the year). Dorking Nursery School Sure Start Children's Centre sessions are on Wednesdays 9.30 -11.15 and 1.00 - 2.45 and on Thursdays 9.30 - 11.15. This group is for parents or carers with their children under five, runs term time only on Wednesday mornings from 10.00am to 11.30am and is held at Beare Green Village Hall, Merebank, Surrrey RH5 4RD. For parents of twins and multiple births and their children under 5, Fridays, term-time only, at Dorking Nursery School Children's Centre (please call for times).�Please note we will no longer be running the Twins' Group from September 2012, but you are welcome to attend one of our regular Under 3s Stay &�Play groups - see above). A group for dads/male carers and their children 0-8 year olds, running all year round. Come along and meet other dads the SECOND Saturday each month, 10.00am - 12.00 noon.� This group meets at Dorking Rural Children's Centre. An exciting mix of stay and play sessions for young parents and their children, with advice & support about child development coupled with adult learning opportunities and pampering courses for the parents with a creche provided for the children. Tuesday afternoons from 1.00pm to 3.00pm at Dorking Rural Children's Centre, all year round. 1 Leatherhead Road, Leatherhead, Surrey KT22 8ST. 22 Oakfield Road, Ashtead, Surrey, KT21 2RE. Tues & Thurs mornings: 9.45 - 11.15 am and afternoons: 1.45 - 3.15 pm. A small and very friendly group. If you prefer a quieter session for your child or if they are very young, the afternoons would be adviseable. All ages from birth to pre-school are welcome. Opportunity for children to get to know Ashtead Lodge if you are thinking of Downsend for your little one.